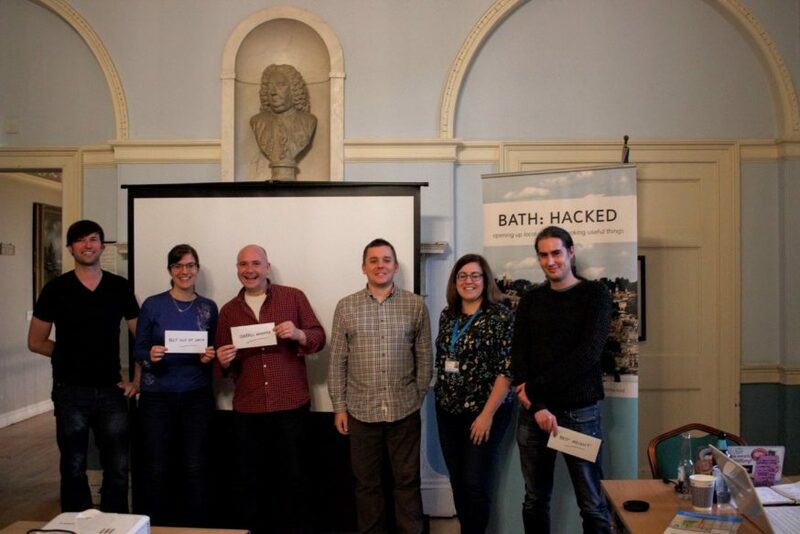 On Saturday 20th October, we brought together 25 people from the local community for a hack day to explore data about traffic and air quality in the city of Bath.The event was sponsored by Bath & North East Somerset council who provided us with both a unique dataset and a venue to bring together members of the community. Here’s what we learned on the day. 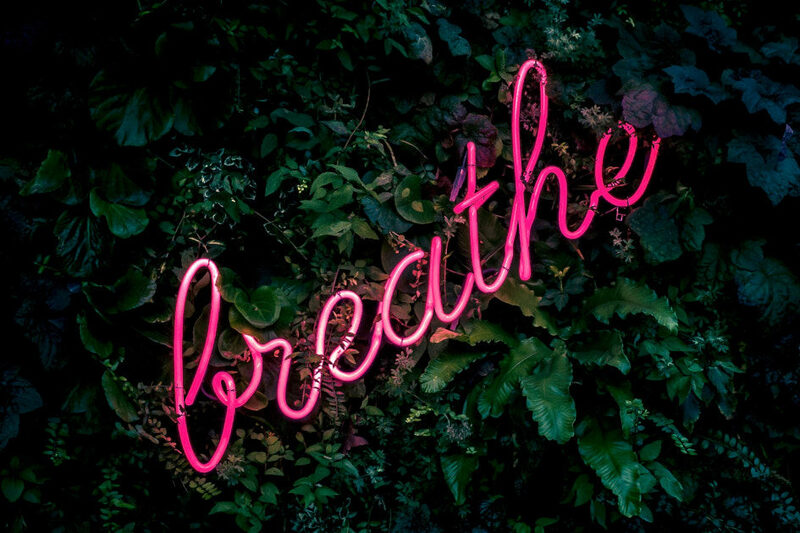 B&NES council are currently running a consultation around plans to tackle ongoing air quality issues in Bath by introducing a clean air zone. You can read more about the consultation on their website, or watch this short introductory video. To support the community in understanding more about the causes of air quality problems, we have worked with the council to open up data from the first detailed assessment of traffic in the city. In November 2017 the council installed ANPR (Automatic Number-Plate Recognition) cameras around the city. Over the course of two weeks, these cameras recorded traffic going through key junctions and roads around the city, as well as entries and exits to car parks. We were excited to help publish this data, because it has real potential to provide some interesting insights into traffic and air quality issues in the area. The anonymised dataset has been published under an open licence for anyone in the community to access, use and share. It’s a big, complex dataset and over the last few weeks, Mark Owen from the Bath: Hacked team has worked hard to publish the data in ways that make it easier for others to use. We’ve also hosted evening events to explore the data and discuss with the community the types of questions we might want to try and answer. We also asked people on twitter to share some local traffic myths that we could try to debunk with the data. On Saturday we brought together a group of residents, including members of local community groups, university staff and the local technical community to explore the data to see what we could learn. Based on our discussions at our meetup events, we knew we wanted to try to find ways of presenting the data to help share useful insights about traffic and air quality in Bath. And perhaps answer some questions about how traffic moves around the city. 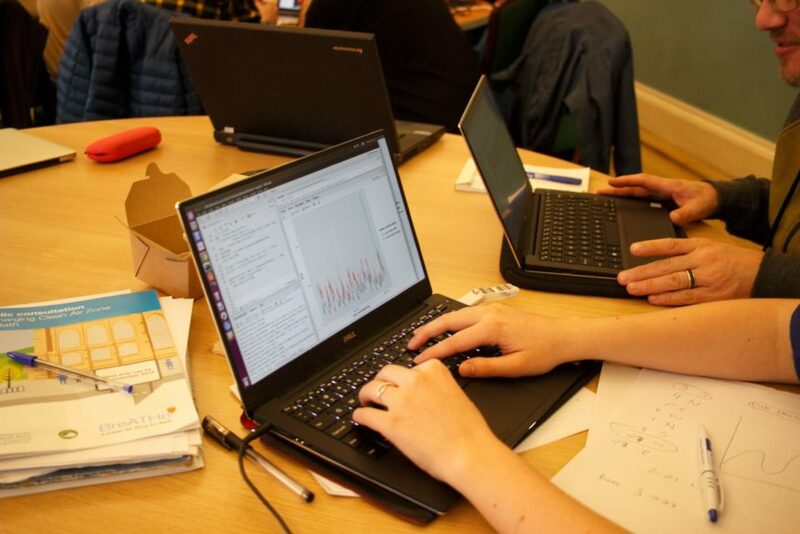 Given the complexity of the dataset, the teams did a fantastic job of crunching through the numbers and exploring the data throughout the day. At the end of the day, the following three entries received a small prize to reward their work. Theresa Smith and Nick McCullen, from the University of Bath, were awarded Best Use of Data. They were able to use the ANPR data to develop a congestion index for traffic entering and leaving London Road to the east of the city. Using this congestion index they were able to look for correlations between congestion and air quality on London Road using the air quality data previously published by the council. Their analysis showed how air quality steadily worsens as congestion increases, before rapidly increasing as London Road reaches capacity and cars start to idle as they move down the road. There’s great potential to further develop this work. Duncan Barclay, developed the Bath BreATHe Quiz which was awarded “Best Insight”. Duncan recognised that there are a lot of complexities when talking about air quality, and it’s very easy to alienate people with technical detail. He focused on exploring ways to engage the public with a simple online quiz.The quiz presents you with a series of questions about traffic, transport and air quality in the city. Why not give it a try to test your knowledge? You can share the results on twitter to encourage others to engage with the issues. Richard Speigal was awarded both the People’ Choice and Overall Winner for the day. Rick spent time exploring the data to understand more about how each category of vehicle contributes to air quality issues. Based on this he then put together a simple online game to encourage you all to explore what level of behaviour change is required to create a cleaner environment. We feel we’ve only just scratched the surface of this dataset. There’s still a lot more that can be done to analyse and visualse the data to make it more accessible. We’re also keen to write-up more about how we’ve summarised and worked with the data to enable others to do the same for their city. Watch this space for further updates!